If British fashion icon Twiggy thinks so then who are we to argue? I have decided to keep this simple and let the images do the talking. 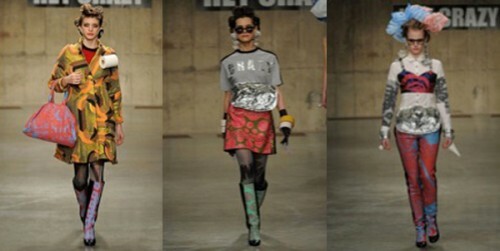 I have picked my ultimate favourite bits from London Fashion Week A/W 2013 from the fabulous to the weird and wacky. Paul Smith’s bold design’s with a masculine twist is perfect daywear which will literally make you stand out from the crowd. When I saw Marios Schwab’s collection I couldn’t help but think of an elegant yet powerful Maid Marion rescuing Robin Hood from the Sheriff of Nottingham. 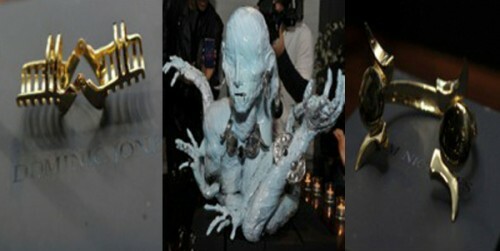 Dominic Jones’ gothic inspired jewellery. I was completely lured into Sophia Webster’s collection like Hansel and Gretel to the witches Candy House. Now for the bizarre and the baa. A loo roll, foil baking trays, sellotape and corner shop carrier bags. Louise Gray is taking recycling to another level.